Founder of the world’s largest software company, Bill Gates has long retired but has long been listed as the richest man in the world until some time in 2017. Bill grew up in a tight-knit, upper-middle class family. In his youth, he was a voracious reader but displayed withdrawn behaviours. His parents’ concern about his behaviour led them to enroll him in a private school in which his intellectual capabilities truly showed. This school was his first exposure to computers and where he met his co-founder, Paul Allen. The pair had split for a few years to pursue their university degrees, before dropping out to pursue Microsoft. They created the Microsoft operating systems for new computers, and their big break came when IBM approached the two to create an OS for their PCs. This established them as the dominant software manufacturer in the industry. Microsoft has since become the industry standard. In 2000, he stepped down as the operating CEO, after he had come to a decision to devote his focus to the Bill & Melinda Gates foundation. The charity’s initiatives revolve around international and domestic issues in health and education. Throughout the years, they have donated tens of billions to the foundation. Earlier in 2018, Gates announced the partnership with Larry Page, founder of Google, in providing a universal flu vaccine and $12M in funding. However, he still has cash to spare and is directing it outside of the Gates foundation to other organizations such as the $50M donation to the Dementia Discovery Fund to find a cure for Alzheimer’s. Around the same time, Bill and Melinda donated $80 million to the smart city development in Phoenix, Arizona. 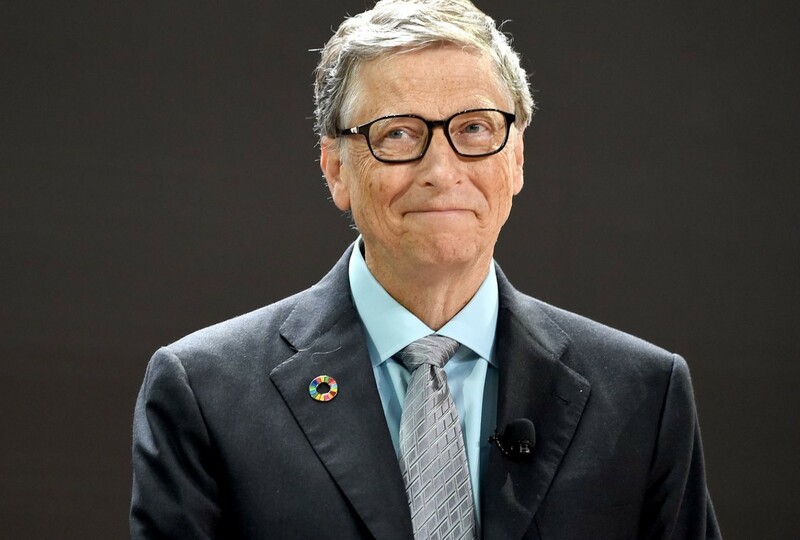 Although his wealth came from Microsoft, it seems as though Bill wants his legacy to be the work that he and his wife achieve with their charitable foundation. Believe it or not, today we may be living in the most peaceful moment in our species' existence. In his gripping and controversial new work, New York Times bestselling author Steven Pinker shows that despite the ceaseless news about war, crime, and terrorism, violence has actually been in decline over long stretches of history. Exploding myths about humankind's inherent violence and the curse of modernity, this ambitious book continues Pinker's exploration of the essence of human nature, mixing psychology and history to provide a remarkable picture of an increasingly enlightened world. At the heart of Bui’s story is a universal struggle: While adjusting to life as a first-time mother, she ultimately discovers what it means to be a parent—the endless sacrifices, the unnoticed gestures, and the depths of unspoken love. Despite how impossible it seems to take on the simultaneous roles of both parent and child, Bui pushes through. With haunting, poetic writing and breathtaking art, she examines the strength of family, the importance of identity, and the meaning of home. In what Pulitzer Prize–winning novelist Viet Thanh Nguyen calls “a book to break your heart and heal it,” The Best We Could Do brings to life Thi Bui’s journey of understanding, and provides inspiration to all of those who search for a better future while longing for a simpler past. The Sympathizer is a sweeping epic of love and betrayal. The narrator, a communist double agent, is a “man of two minds,” a half-French, half-Vietnamese army captain who arranges to come to America after the Fall of Saigon, and while building a new life with other Vietnamese refugees in Los Angeles is secretly reporting back to his communist superiors in Vietnam. The winner of the 2016 Pulitzer Prize for Fiction, as well as six other awards, The Sympathizer is the breakthrough novel of the year. The Sympathizer is a blistering exploration of identity and America, a gripping espionage novel, and a powerful story of love and friendship. The conversion of energy on Earth ranges from terra-forming forces of plate tectonics to cumulative erosive effects of raindrops. Life on Earth depends on the photosynthetic conversion of solar energy into plant biomass. Humans have come to rely on many more energy flows―ranging from fossil fuels to photovoltaic generation of electricity―for their civilized existence. In this monumental history, Vaclav Smil provides a comprehensive account of how energy has shaped society, from pre-agricultural foraging societies through today's fossil fuel–driven civilization. Humans are the only species that can systematically harness energies outside their bodies, using the power of their intellect and an enormous variety of artifacts―from the simplest tools to internal combustion engines and nuclear reactors. The epochal transition to fossil fuels affected everything: agriculture, industry, transportation, weapons, communication, economics, urbanization, quality of life, politics, and the environment.